Royal Car Movers is a professional transportation company for shipping cars to any where nationwide or worldwide. Royal car movers has been proudly moving more than 10000 vehicles annually all over the United States and overseas. We ship cars from east coast to west coast and west coast to east coast. Royal Auto Transport, INC gives service to all states especially California, Arizona, Nevada, Texas, Tennessee, Virginia, Washington DC, Maryland, Florida, and Georgia. We transport vehicles from Texas to California. Our auto shipping Texas can pick up your vehicle from cities such as; Houston, Dallas, Fort Worth, El Paso, Mc Allen and any other city in Texas and we will transport your vehicle to any destination in California. Our auto transport Texas can help auto dealers and auto sellers to transport vehicle to any destination in the US. At car transport Texas we have professional drivers to transport your vehicle anywhere you desire. In addition, at our Auto Transport Virginia we can pick up your vehicle from any city in Virginia and transport it to any city in the US or even overseas. At Royal Car Movers, our international auto transport department can ship your vehicle(s) to any point in the world. If you want to send a car to Europe our international auto transport can help you to transport your vehicle fast and safe to Europe. Car shipping to Europe needs special auto Transport Company. We are proud to say, Royal Car Movers can ship cars to all the countries around the world. We provide classic car transport to Europe and Australia. Royal Car Movers transport the vehicles door to door fast and safe. Royal Auto Movers is insured and licensed to transport vehicles nationwide and worldwide. Remember we can transport all kind of the vehicles. 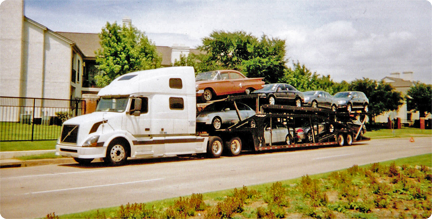 International Auto Transport, Classic car transport and shipping cars everywhere. For more information please call us at 866-992-8660 and get a free quote.